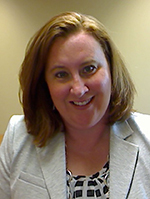 Jennifer A. Kurth, Ph.D. is an Assistant Professor of Special Education at the University of Kansas. Her academic interests include methods of implementing inclusive education, including methods of embedding critical instruction within the context and routines of general education while providing appropriate supports and services for individual learners. She also studies how teacher candidates develop their dispositions and skills in inclusive practices. Jennifer’s research interests in inclusive education also include examining outcomes of inclusion in terms of skill development and quality of life indicators for students with disabilities. Prior to coming to the university, Jennifer was an inclusion facilitator for students with mild to severe disabilities at both the elementary and secondary levels.